One of my ongoing activities is working with a DoD funded research team that is developing an open source model of the human body. In a few years, a professor should be able to teach medical students how, for example, the lungs work without sacrificing an animal. The interesting point about this project — which involves computer scientists, engineers, physicians, and physiologists — is that the common language is simple discrete component electronics. For example, in developing a model of the lungs, we represent each lung with a diode, a few resistors, and a capacitor. That's it. Add AC or DC driving signals, and the current and voltage swings mimic the pressures and flows in the lungs. The take-away of this illustration is that it's important for you to learn the basics. I'm talking Ohms Law, serial and parallel discrete components, and simple signal sources. This might seem self-evident, but since the introduction of the increasingly popular microcontrollers and standard sensors and effectors, it's possible to create electronic devices without ever touching a capacitor or resistor. Why use a pull-up resistor when microcontrollers (such as the Arduino) allow you to specify pull-ups in software? Of course, if your time is limited and you have a specific project in mind, you want a solution as soon as possible. However, if your goal is to master the art of electronics, then you need to understand the basics. Ten years from now when the current generation of microcontrollers — and your knowledge of their specifics — is worthless, there will be applications for Ohms Law and basic circuitry. As illustrated by my experience working with scientists from varied backgrounds, basic circuitry can be a Rosetta Stone for communications — second only to pure mathematics. So, let's say you're sold on the concept of getting a solid foundation in the basics. Just how do you get this grounding? Well, in addition to the occasional introductory articles in Nuts & Volts, check out the classics such as one of the introductory texts from Forrest Mims III (www.forrestmims.org). Then, there's the timeless Art of Electronics by Horowitz and Hill. If you're not into reading, there are dozens of introductory electronics tutorials on YouTube. These passive sources of information are all perhaps necessary, but by no means sufficient to get you where you need to be. You need some hands-on experience to ground your theoretical understanding of basic electronics. 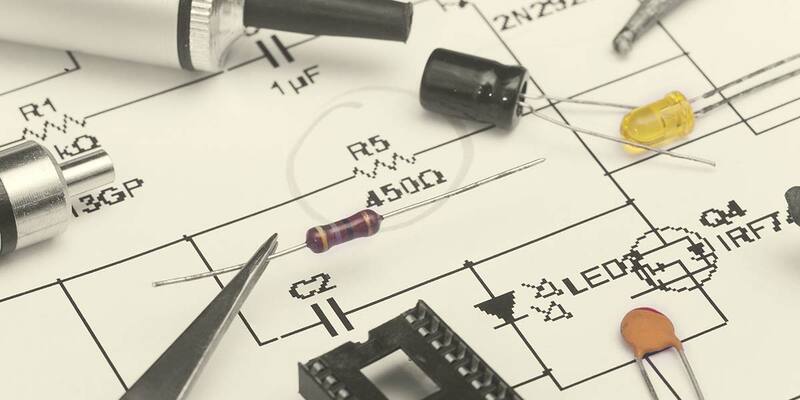 Pick up a kit that uses discrete components — one that lets you easily substitute the components. Another route is to tear down every electronic device you can get your hands on. Don't let any electronic device that is destined for the landfill escape your pliers and soldering iron. Take notes and take hostages (remove components for repurposing). Try to figure out the underlying circuit and create a schematic. Then, try to improve on the basic circuit design.